We are very pleased to now be able to offer Mine Exploration as an activity for groups visiting Bewerley Park. This is a fantastic activity for all age groups, in particular those taking their first trip underground. Gillfield Mine near Greenhow Village dates back as far as 1872 but mining has taken place in the surrounding dales since Roman times. This makes it a fantastic venue to bring to life the industrial heritage of the area on a grand scale. 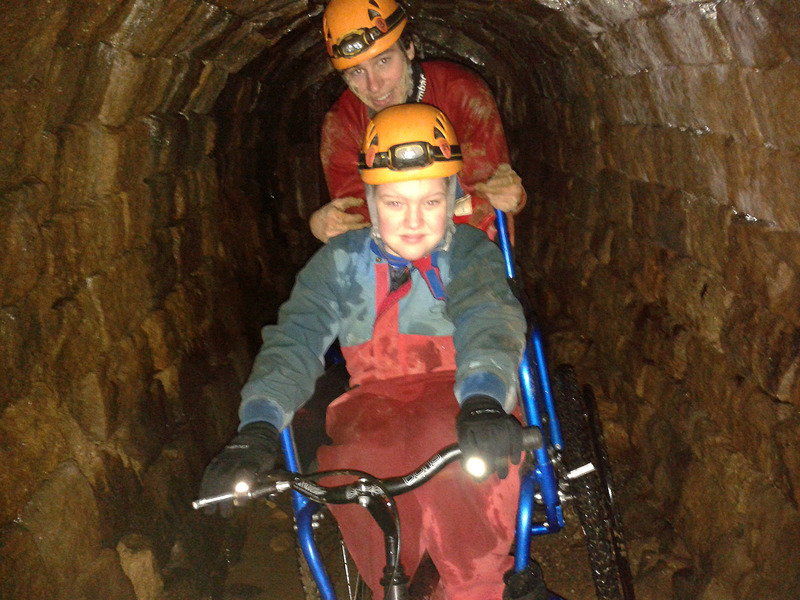 We were also pleased to be able to take our Off-Road wheelchair underground for the first time with the help of Matty from Titus Salt School, Shipley. If you would like to include a trip to Gillfield Mine for your students then please get in touch.